Last week I received an e-mail from Tudor Petcu, who is a Ph.D. student in the Faculty of Philosophy of the University of Bucharest. I did not know him, but he had read my blog on being Russian Orthodox although I’m not Russian. He asked me if he could do a written interview with me and ask me questions on how living in Russia has impacted me and how it is that I became Orthodox. This would be part of his research for his Ph.D. He was very gracious and I gladly accepted. I received his permission to post his questions and my answers on my blog. First of all, given the fact that you are an American living in Russia, please let me know what’s your perspective on Russia from a spiritual and cultural point of view and how did this country actually influence you as an American. I came to Russia for the first time in 2002 as a part of a group that gave financial and other resources to Russian orphanages. The group I was with focused on the rather small city of Luga. At that time this city, in which I now live, was very poor. Crime, drugs, and alcoholism were quite common. The fall of Communism and ten years of the failed leadership of Boris Yeltsin had taken quite a toll on the people here. Many necessities were still in short supply. Now, sixteen years later the city is quite different. The resilience and inner strength of the people of Russia in the face of adversity is, in my opinion, the characteristic that led to the recovery of Russian culture and a deepening spirituality. Even in the years when poverty was common, things like ballet, opera, dramatic arts, and literature were still very important to the common people. As an American, I normally associated those interests with those in higher socio-economic groups. I was quite surprised at the number of Western classics and authors with which most Russians were quite familiar. I would say I have observed a cultural depth here that I had not experienced before coming to Russia. There wasn’t the hunger for immediate gratification that we Americans find so attractive. Spiritually I think the change has been slower. Religion, faith, and the Christian spirituality that had been a part of Russia for practically all its history had been almost completely removed from this society for seventy years. I now see great changes in this area. From my own experience, as one who worships in a Russian Orthodox Church in a small community, I have observed a diversity of age groups in attendance. There are many children with whom my children play after Liturgy. What has surprised me, frankly, is the number of older Russians who I know were brought up in the Communist era, yet are now deeply committed to their church. It is not simply attending Liturgy, however. They seem very focused and reflective during Liturgy. 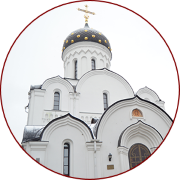 There is not the fascination with being spiritually entertained in Russia that predominates in the more popular “seeker sensitive” churches in America. Obviously, I cannot read the motives of worshippers whether they are in America or Russia. I can listen and think through what I have heard from and observed in people of both cultures. 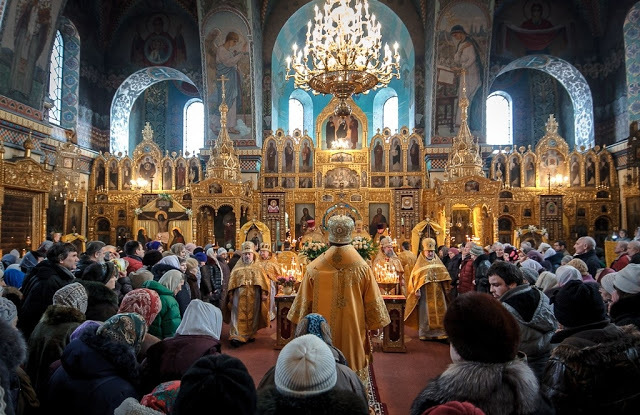 Further, generalizations are always inaccurate at some points, but I would say the spirituality that dominates in Russia is more of a reflective and contemplative spirituality than the emotionally driven worship and spirituality I often encountered in America prior to becoming Orthodox. So Russia influenced me in these areas by making me realize how I had let my circumstances dictate my commitments. Russians had overcome far more than I had ever faced and still came away committed to appreciating and improving their culture. They had faced having all spiritual values and truths expunged from their society, but they renewed their commitment to those values. Many Russians have said they see the Communist era as having purified Russia. The sufferings for their faith had a positive impact on the Church and on them as individuals. They influenced me to face my own struggles this way. Too often I had tried to avoid the difficulties rather than let them strengthen me. Russian influence had led me to seek spiritual and cultural values whatever my circumstances. With your permission, I am interested to find out more information about your spiritual personality before becoming an Orthodox. Who were you before discovering Orthodoxy and what was your view on life and its purpose? I was raised in a very devout Baptist family in America. The rural culture of that time was quite anti-intellectual, and as a teenager I became an atheist (although I told no one). Eventually at the end of my military service I came to believe atheism was even more intellectually bankrupt and returned to the church. My faith became central to my life. The purpose of life was to know God better and to live out what His will for my life was. After university I went to seminary for a Master’s degree. 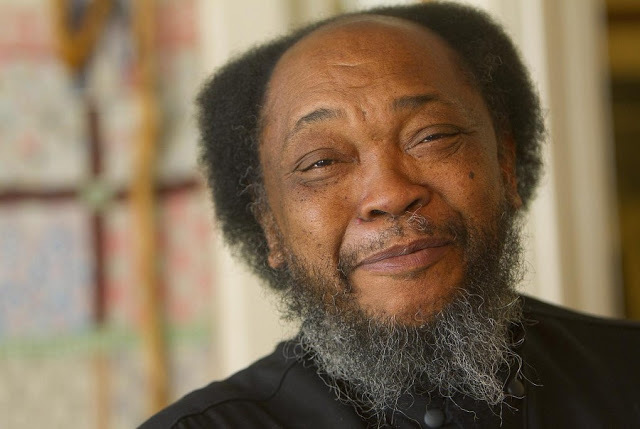 I was ordained as a Baptist minister, but my heart was in the academia. I completed my Ph.D. in Koine Greek and New Testament. I went on to teach in a Baptist University for 14 years. Over the years my faith became more “intellectualized” and less a matter of the heart. The purpose of life became more about professional and academic goals, rather than my earlier goal of knowing God. I went through the painful ordeal of a divorce, which led me to resigning from the University. I do not blame being a Protestant for that; I had to accept full responsibility for my own moral and spiritual failures. It was at that time I was offered a job teaching English in St. Petersburg, Russia. I left America and lived in Russia for three years. I married my present wife in St. Petersburg in 2007. She was raised in a Communist home, but had joined a Protestant church years before I met her. We were not in church when we married, and spirituality, sadly, played no part in my life. I think at that time I probably could not have given any purpose for my life other than the immediate concerns of each day. We came to America in 2008. My old life in America could not be recovered. I became quite despondent because I now had a job I did not find fulfilling and very few of my old friends. Life had lost its purpose. My wife eventually started going to church—one of many Baptist churches in the area. Later I joined her, and eventually we found our place among the faithful there. I was asked to teach a group in Sunday School and again committed myself to knowing God and doing His will. Which was the main reason why you have made the decision to convert to the Orthodox Church? What exactly have you discovered in Orthodox spirituality? It is very difficult to say what the main thing was that led to my conversion. First, my decision to become Orthodox was based on what I found attractive in Orthodoxy; it was not because I was unhappy with my Protestant church or life in general. At the time we had no plans to live in Russia again, but my interest in Russia had been rekindled when I read a book on the “October Revolution.” I started reading more on Russian history. I also ordered a conversational Russian course. For some reason, I kept reading Russian history and trying to learn the basics of the language. Then I came across a book called “The Art of Prayer,” which was a compilation from writings of several Orthodox elders (mostly Russian). The majority of the writings came from Theophan the Recluse and secondly Ignatiy Brianchaninov. I couldn’t put the book down. I would read their prayers and teachings every morning before work and before I went to bed at night. They were, obviously, from a time and a “world” very different from mine, but I knew the life they had in the Spirit was one I wanted. Something within me resonated with what these men wrote. Their spirituality was not about increasing the things you did or the number of people you influenced. It was “putting your head inside your heart.” It was focusing on the inner life, which would eventually result in exterior changes, but those were not the point. It certainly wasn’t what Protestants call “antinomian,” but neither was it focused on listing what was permissible and non-permissible behavior. I was brought up in a very legalistic atmosphere, and it had always been difficult for me to overcome that. So when I had failed completely morally and spiritually I considered myself a failure and had left the church—and God. In the teachings of these Orthodox thinkers, they simply placed life on a different and deeper level altogether. There was an honesty about failures. As one monk said in response to the question on what he and the other monks did in a monastery: “We fall down, and we get back up; we fall down, and we get back up.” I found that very refreshing. I then found an Orthodox Church about 40 minutes away from my home and started attending Saturday night Vespers. I did not understand a lot of what was going on there. What I did understand was that everything there was about God. 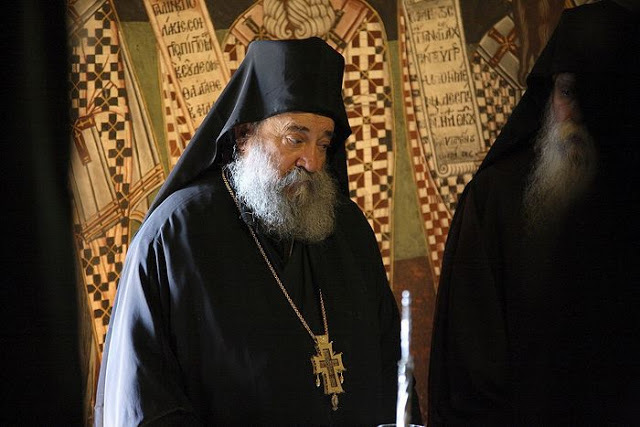 I sometimes smile when my Protestant friends ask me, “What was it that attracted you to the Orthodox Church?” I tell them, “The fact that the Orthodox Church was not trying to attract me.” They were friendly; they were caring. But worship wasn’t about me. So I would have to say it was the profound readings from those old Russian writers as well as the theocentric focus of Orthodox worship that were the primary factors that led to my conversion to Orthodoxy. Can you say that becoming Orthodox, you have lived the most important or the deepest spiritual revolution? Yes, I would say that my becoming Orthodox has been the most significant “revolution” in my Christian experience. The last time I went to my Protestant church I left thinking about the positive things I had experienced. The music was profound and enjoyable; the sermon was a great interpretation of a biblical text; the greetings from others were very genuine. As I put the keys in the car, I distinctly recall the thought that seemed to burst in my mind: “But did you really worship God?” I had thought about God; I had “absorbed” information about God; I had listened to descriptions of Him; I felt good singing about Him, yet I could not get those Saturday night services at the Orthodox Church out of my mind. Those daily readings from Theophan and the Orthodox Liturgy had completely revolutionized my spiritual life. How and why in your opinion can Orthodoxy help people gain redemption? How? Orthodoxy can help people gain redemption bythose of us who are Orthodox living out our “theosis” before others. The Spirit of Christ is within us. Life is about letting the character of God become manifest through us. That way it is never letting others focus on us. We know by “theosis” we don’t mean we become gods in essence. The divine “energies” are present, however, and it is our responsibility to live redemptively with others. Why? There is a lot of brokenness in relationships with each other but ultimately with God. In my opinion, we won’t mend the brokenness by pointing them to a really cool religious experience or spiritual hedonism. These things are superficial resolutions. The Orthodox people with whom I came in contact reflected an honest concern that did not point me to themselves or to their experiences. Their message was simple: “Come and see.” Again, I came out of a religious culture that emphasized telling people about Jesus and being ready for any question they might have. We had to win them! We organize “worship” services with their emotional and spiritual comfort in mind. 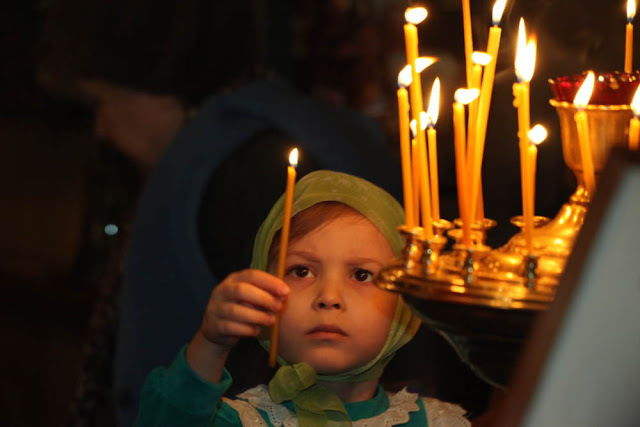 Orthodoxy can help people gain redemption because it points them to God. Orthodoxy does not try and point them to improved social relationships at church or offer an attractive religious experience. Orthodox doesn’t have those “traps” in its history or religious sub-culture. Orthodoxy is founded on the truths of Holy Scripture and how those truths were interpreted by the Ecumenical Councils and the Church Fathers. It is not about novelty. What Orthodoxy offers is the Body and Blood of Christ to a world in need of the redemption found only in Him. Considering that you are a convert to Orthodoxy, what would be the most important lesson that everyone of us should learn in the Orthodox Church? I suppose that the lesson from my conversion is that if someone like me who came from a devout Protestant background, gained ordination and degrees in that tradition, and then squandered it all, can end up Eastern Orthodox then I think anyone can. 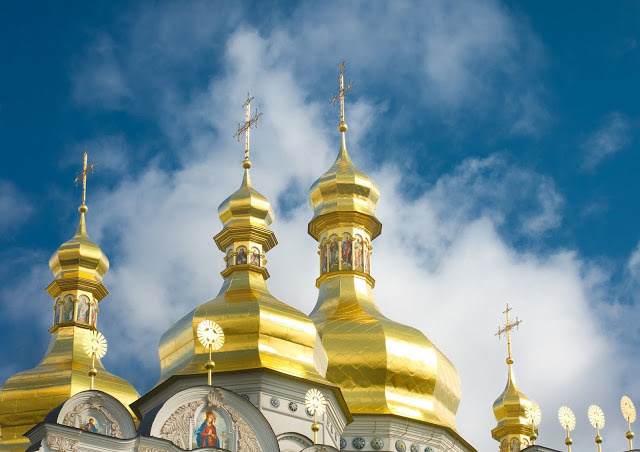 I would like Orthodox people to have confidence in the faith we share. For my Ph.D. dissertation I spent a lot of time studying polemic in the ancient world–that is, how individuals and groups from various philosophical and cultural backgrounds argued with each other. Polemic was when things had reached the boiling point. My conclusions are that not much was ever gained with those arguments. I had many conversations and lunches with my priest in America before I converted to Orthodoxy. He never launched into what was wrong with Protestantism or Protestants. He never condemned any of the weaknesses he may have seen. He always let me ask my questions and patiently answered them. It was always about what Orthodoxy stood for, not who it stood against. I am concerned with a trend I saw in some Orthodox circles in America which focused on where we disagree with other branches of Christianity and deciding which ones are really Christian and which are not. The disagreements are there, but I see no advantage in focusing on them. In Russia, I don’t see that as much as I see another problem which many of the Russian “elders” I have read pointed to: the need to stay away from superstitions and empty traditions. 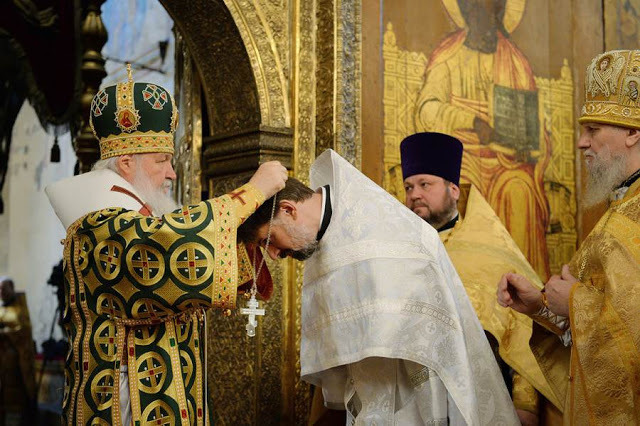 Orthodoxy has such a great appreciation for tradition. I think that is wonderful. Traditionalism, however, focuses on aspects of one’s culture or ethnic heritage which may have nothing to do with the faith. Likewise, old ideas and activities that are rooted more in paganism than the Christian faith ought to be left outside our way of thinking as believers. We must remember the mother of all virtues is humility. There is nothing about national or ethnic pride that leads to spiritual strength or virtues, whether it be American or Russian pride. In conclusion I can say our family now feels very positive about our move to Orthodoxy and to Russia. Joining the Orthodox Church in America was one factor that would ultimately influence us to move to Russia, although we did not see it that way at the time. As I indicated earlier, I had been studying the Russian language and Russian history but only because I found these interesting, not because I had any inclination to move back to Russia. When we became Orthodox, we had no plans to return to Russia. While there were various factors in our decision to move, the one area that forced the issue was our continued sense of alienation from the direction in which American culture was going in terms of morals and faith. The “transgender” issue became the spark I suppose. It was not just the issue itself, it was the cluster of ethical issues which made it difficult for those of us who hold to traditional Christian morals to be treated fairly. Of course we knew the story of how the couple who ran a Christian bakery and could not with integrity bake for a homosexual wedding had their lives ripped to pieces. Now it seemed the decision was final that gender identification was more a psychological state than a biological fact. A mother in a department store near where we lived reported her little girl being approached in an inappropriate manner by a biological man who “identified” as a woman. The store had let it become public knowledge they would not enforce rules on who entered what restroom. The crucial concept of “tolerance” was applied in a highly inconsistent manner by the cultural watchdogs. When we started considering our move to Russia I studied contemporary Russia as much as I could. I studied how Russian students performed on standardized international exams as well as other aspects of education in Russia. We wanted our children to go to public schools because we believed it was the most efficient way to learn the language. I saw that President Putin and his education ministers were unambiguous in their belief that gender identity and other issues related to sexual practices were not the job of the schools or the government. One had the freedom to be homosexual in Russia, but anyone who was openly homosexual did not have the right to teach children or engage in public affection with his or her partner. Further, Putin was not afraid to be seen with the Patriarch of Moscow in a joint statements on abortion restriction and other “hot topics.” In America our son had a homosexual teacher who openly talked about what he and his partner did on weekends or whatever. Whether rightly or wrongly I saw a trend toward an increasing intrusiveness by the government in America to dictate what my children could and could not be taught in terms of ultimate values. I did not find those values to be consistent with what we believed as an Orthodox family. The trend was moving further away from many of the shared cultural values which I had grown up with in America toward views I hardly recognized as intellectually or psychologically responsible. In Russia, the trend was in a very different direction. As strange as it seemed, the culture that we in America had once called “godless and immoral” was moving toward one in which an Orthodox family could flourish. I couldn’t dictate which way America would go, but I could decide where my family would go. 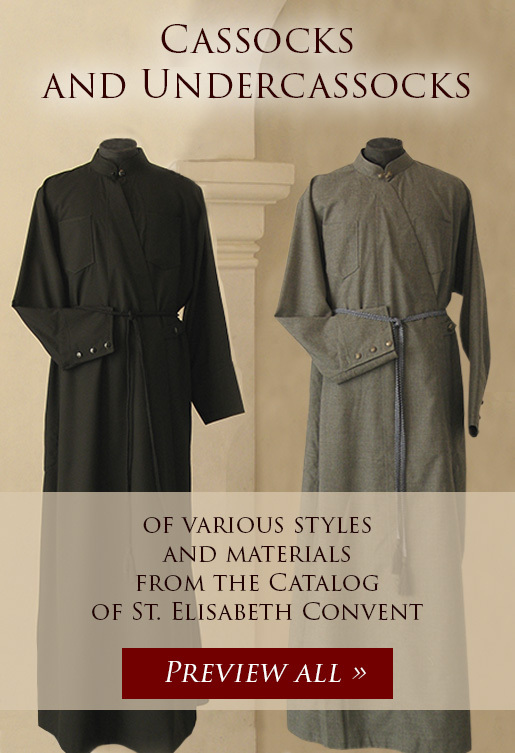 Code of Honor for a Priest. What’s the Danger of Trying to Mingle with the World?